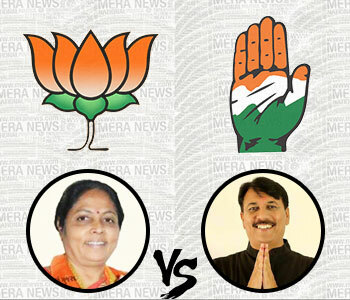 Hitesh Chavda: Ahead of the Gujarat assembly elections, here’s a quick look at 10 powerful Congress candidates—mostly sitting members of the legislative assembly (MLAs) and one emerging community leader—and who the ruling Bharatiya Janata Party (BJP) has nominated to take them on. 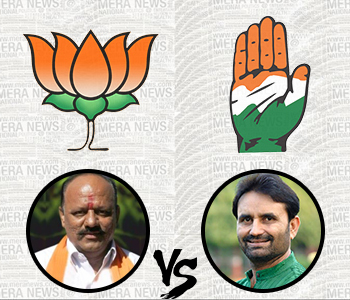 Shaktisinh Gohil, the Congress party’s spokesperson and a former leader of the opposition in the Gujarat assembly, will contest the Mandvi seat in Kutch district instead of Abdasa, which he won from Chhabilbhai Patel, who defected to the BJP, in a 2014 by-poll. 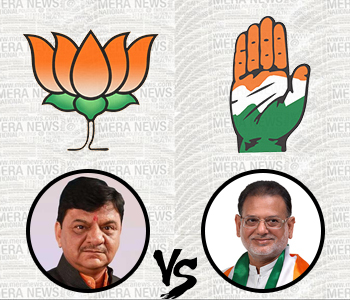 His opponent in this election, Virendrasinh Jadeja, is a Rajput, too, but the BJP nominee lost the last time he ran for the state assembly, in 2007 from Rapar. Extra ammo: The Congress has given Gohil a helicopter to traverse the state and the constituency. Mahatma Gandhi’s birthplace has over the years seen the local mafia wielding its strength amid a bitter political environment. 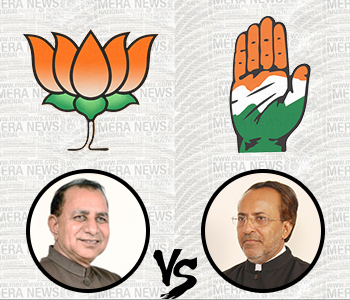 The seat has been held by just two men over the last 22 years—Bokhiria (1995-2002, 2012–) and Modhwadia (2002-2012). Extra ammo: Allegations of corruption against the BJP minister cropping up might just work in Modhwadia’s favour. The BJP has fielded Bavkubhai Undhad, who defected from the Congress three years ago and has a strong local connect, to challenge the sitting MLA, Paresh Dhanani. Undhad won the Lathi seat in Amreli district in 2012 and the subsequent 2014 by-polls after he changed his allegiance. Dhanani, meanwhile, took the Amreli constituency in 2002 and 2012, losing the interim election to Dilip Sanghani, who will contest the Dhari seat in the district this time. 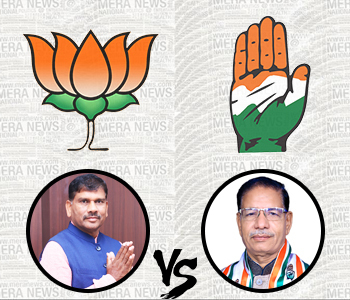 Anil Joshiyara has won the Bhiloda seat in Amrelli constituency in four of the last five state elections—for the BJP in 1995 and for the Congress in the last three times, including after it was reserved for Scheduled Tribes (STs) in 2012. This time around, the BJP has chosen P.C. Baranda, an Indian Police Service (IPS) who resigned as Chhota Udepur’s superintendent of police recently, to challenge the former health minister. Gyasuddin Sheikh wrested the Dariapur seat in Ahmedabad from five-time winner Bharat Barot in 2012. Barot won successive elections from the Dariapur-Kazipur constituency between 1990 and 2007, but lost the constituency after it was redrawn as part of the delimitation exercise. Sheikh is the only prominent Muslim face in the Gujarat assembly who has remained in the media spotlight for various reasons—from writing a letter on Congress president Sonia Gandhi criticizing the party’s treatment of Muslims and praising former chief minister Anandiben Patel of the BJP to even keeping a cow. The Anklav constituency in Anand district is a veritable Congress victory. The seat was created during delimitation and Amit Chavda won for the Congress by more than 30,000 votes in the 2012 elections. His grandfather Ishwar Chavda was elected as a member of the Lok Sabha five times from the Anand parliamentary constituency, and Bharatsinh Solanki, the Congress party’s Gujarat president, has also won the seat twice. 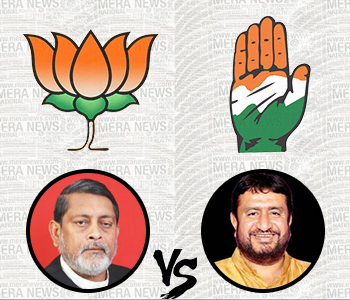 Meanwhile, the BJP candidate is first-timer Hansakuvarba Raj. 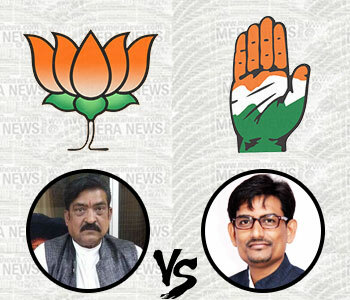 The BJP has never won the Mahudha seat in Kheda district. 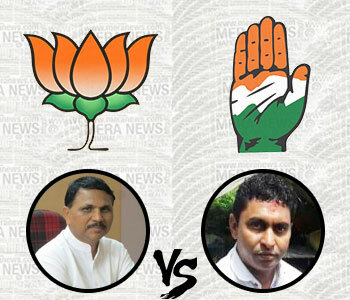 Bharatsinh Parma, the BJP candidate, resigned from the Congress and joined the ruling party three months ago. He was immediately the subject of protests, which should make little difference to his chances considering that Indrajitsinh Thakor has anyway been winning the seat since 1990 and shows little sign of losing it. Mohansinh Rathva, the leader of the opposition in the Gujarat assembly, is the longest-serving MLA in the state, having won his first election in 1972 at the age of 28. He has won a further eight terms since 1975, only losing in the 2002 polls. Unseating him is a tough—if not impossible—task for the BJP candidate, Jashubhai Rathva, the party’s Chhota Udepur district president. 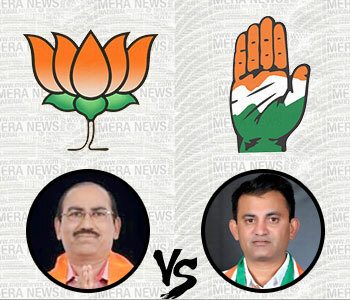 The BJP has given a ticket to the former deputy mayor of Vadodara city, Shailesh Mehta (Sotta), instead of the sitting MLA, Balkrishna Patel. 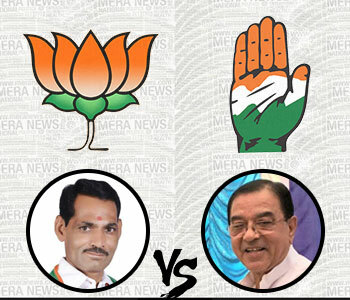 Sotta, who joined the BJP from the Janata Dal (United) in 2011, will face off against Siddharth Patel, a former president of the Congress’s Gujarat unit and a two-time MLA from the constituency. Lavingji Thakor, the BJP candidate, is a powerful leader from the Other Backward Class (OBC) community who notably gave up his seat for then chief minister Shankarsinh Vaghela for the 1997 by-elections. Around 65 percent of the population of the constituency is made up of OBCs—but the vote will be split with another OBC leader, Alpesh Thakor, the Thakor Sena leader who joined the Congress party just a month ago.